For over a decade, this client has matched a wide array of enterprises with custom computer programming solutions. During this time, the United States Postal Services has become their primary focus, engineering hardware and equipment, software and applications, to increase overall productivity. Rather than remaining one dimensional, the client expanded their sphere of influence to include the parks and recreation industry. The client approached Chetu with an application development project. 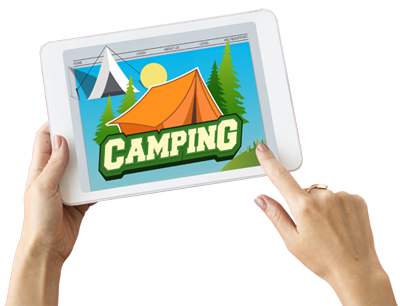 The client envisioned an application capable of executing and tracking campground reservations for parks across the United States. Most campsites are overwhelmed by a large number of individual sites, struggling to prevent double-bookings and to keep up with the fluctuating vacancy rate. The application needed to address these issues while managing a multitude of campgrounds at once. Each campground comes with its own set of rules-limited by minimum reservation regulations and random maintenance days. After vetting the project, Chetu determined the online application would need to serve as a reservation platform and booking engine where users could register and engage with the available campsites, manipulating the days and times to find a desirable match. First, Chetu would need to build the Windows foundation, moving onto the payment gateway implementation to support POS transactions during the camper check-in and check-out process. Chetu engineered a content management system where administrators could input the unique features and amenities of each of the campgrounds and customize the portal aesthetic according to location. From there, campers would be able to filter results according to their preferred facilities and must-haves. The project yielded a highly functional online application that caters to the campgrounds, as well as the campers. 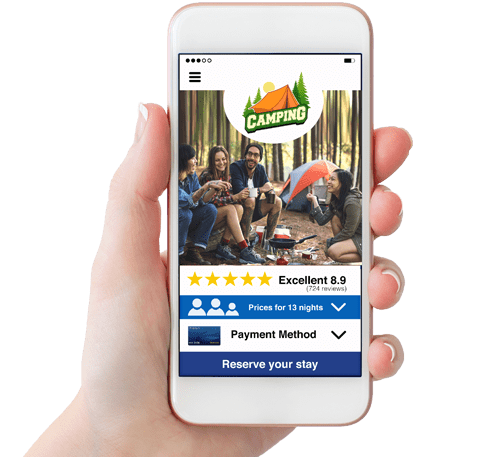 Campground administrators have the ability to setup new campgrounds and add photographs of the facilities, select and define reservation rules, and accept payment though the booking portal. Most importantly, all of this information is displayed through a detailed dashboard. Camper functionalities are just as extensive. Through the online system, they are able to search parks based on state and zip code specifications and limit their results according to site type (cabin site or RV site). In addition to the campsite reservation, campers can also select classes and activities to partake in on-site or in the surrounding area. To ensure they are getting their reservation at the best price, campers can compare rates and view detailed reports outlining the nightly rates.